Lately, there have been many opportunities to reflect on Omega's history as the company readies a celebratory event around the life of its late founder, Robert Siegele. This blog post takes a brief look at the first automatic plastic bottle unscrambling machine (rotary / rail-style orienting device). In the 1960s, Robert Siegele served as a manufacturers representative and proprietor of the R.W. Siegele Co. As a successful salesman with an entrepreneurial spirit, he often found himself on the road, listening to customers, and trying to sell them Cappers, Fillers and other processing equipment. Back then, glass bottles were the predominant form of packaging in the Pharma industry for oral and solid dose drugs. Yet, glass was a challenge to work with due to weight, breakage, and the manual labor needed to get bottles onto a conveyor. By the late sixties, customers began asking Siegele how they could process a new type of bottle made of plastic, which was emerging as a disposable packaging material that could be easier to handle and cheaper to manufacture. Sensing an industry-wide change, and a market opportunity, Siegele and three others began working on an automatic machine to usher in this new packaging era. Siegele began work on bottle processing equipment, including the original Bottle Unscrambler, in this 10'x20' shed in the back of machine shop in Frazer, Pa. 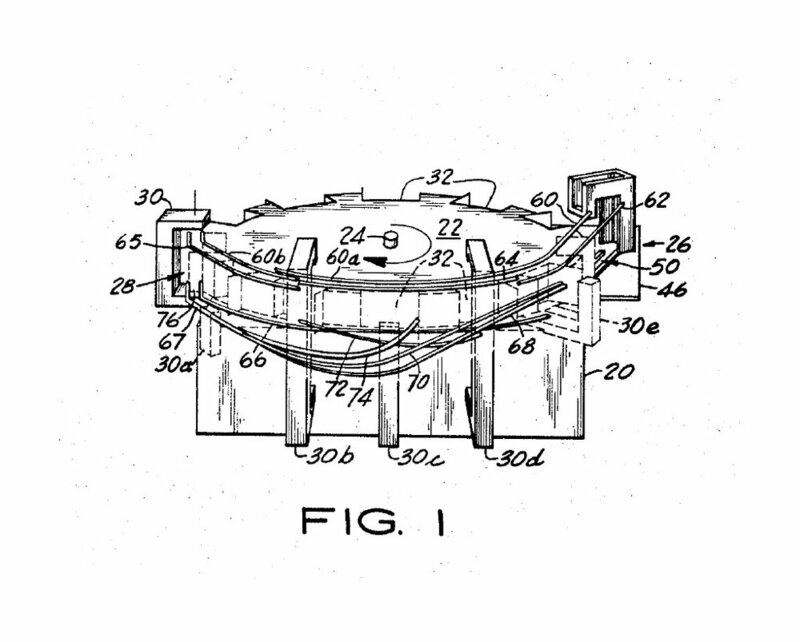 In April 1967, the co-founders of Omega filed, and later received, a patent for a motor driven orienting device, which was better known as Omega's Model L Plastic Bottle Unscrambler. The machine was designed to receive bottles from a supply station and invert them, if needed, into the upright position by sliding the bottles along suitably shaped metal rails. By 1971, there was a steady demand for Omega's rail-style Bottle Unscrambler, which companies across several industries (Pharma, Food & Beverage, Consumer Health, Chemical) could rely on to speed up their packaging lines. Here is a fun, old timey video that was recently recorded to show an early rail-style bottle unscrambler in action. This machine is currently at Omega's facility and was on display at a private event celebrating the life of Robert Siegele.